In August of this year, TÜV NORD carried out another audit at our plant in Hagen, Germany, which confirmed our ISO certification once again. Our quality management system according to DIN EN ISO 9001 : 2015 as part of our consistent and reliable quality standards has thus been officially certified and can serve as a key factor for international business relations. 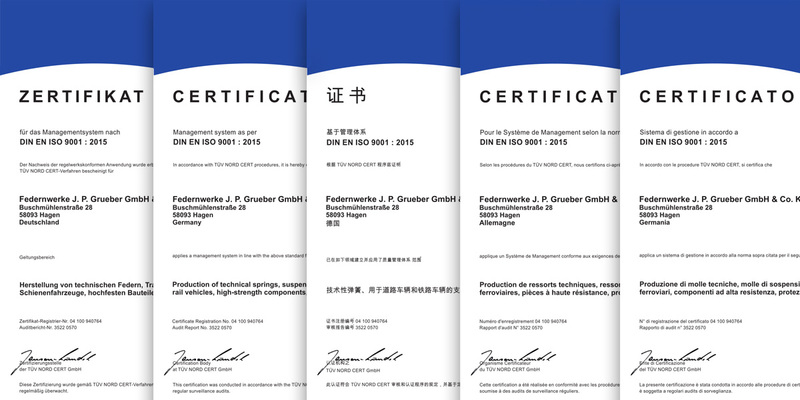 Here you can download the current certificates in German, English, Chinese, French or Italian. Please do not hesitate to contact us directly if you have any further questions.